No say in Union Bay – a dictatorship. A state of the art water filtration plant is going to be built in Union Bay without land owner approval or consent to borrow the funding required to build the project. UBID’s borrowing strategy is that the final borrowing amount will be voted on by the UBID trustees and approved by the Ministry. 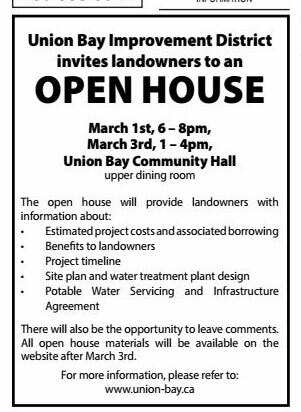 In my opinion this is dictatorial, undemocratic and not in the best interest of Union Bay land owners. In June and July of 2017 Cumberland conducted an Alternate Approval Program to gather public support to borrow funds for water system upgrades including a water treatment plant. As recently as March 2018 the CVRD launched an AAP process to garner support to borrow funds for a water treatment facility. Both of these communities were successful in their endeavor. Furthermore both communities have received substantial grant funding to offset the cost to land owners. 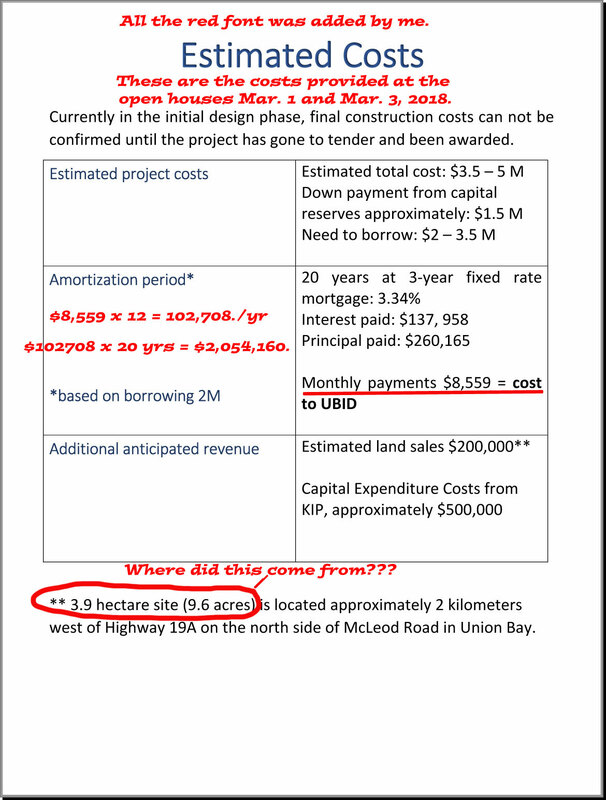 Why is Union Bay Improvement District preparing to spend up to $5.5 million dollars with no grant funding available and no documented public support for this project? 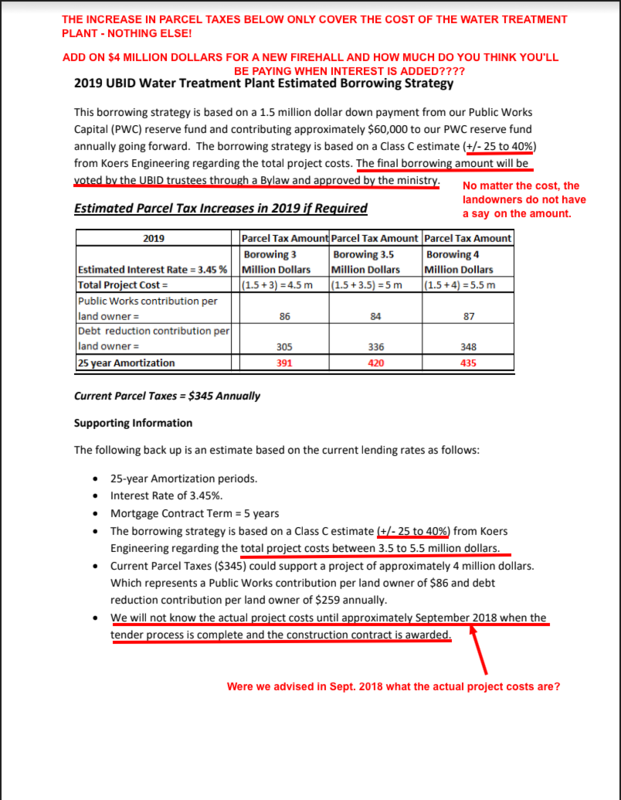 Excerpt from this link: https://www2.gov.bc.ca/gov/content/governments/local-governments/improvement-districts-governance-bodies/improvement-districts/finance/procedures In general, the term for long-term borrowing for land, buildings, infrastructure, and other fixtures would not exceed 20 years. 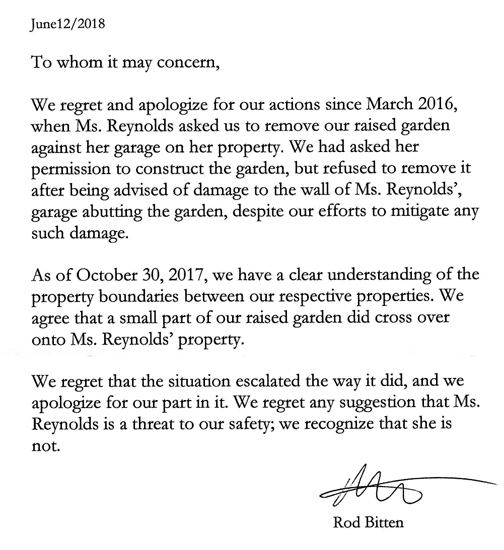 So why did the Admin bump up the amortization to 25 years adding almost another half million in interest after the March 1st and 3rd Open Houses which had incorrect figures and was based on borrowing $2 Million? For those of you who attended the Mar. 1 and Mar. 3 Open house when the estimated figures were presented to the public. NOTE: the figures were wrong.